The Schumann Violin Concerto!!! One of your favorites, right? You see it on an orchestra's upcoming season and you're buying tickets the very next minute, right? Ummmmm? Not so much??? Never heard of the Schumann Violin Concerto or heard it played? You're in the vast majority of the classical music audience. The Schumann Violin Concerto is rarely played. And, so goes the consensus, for good reason. 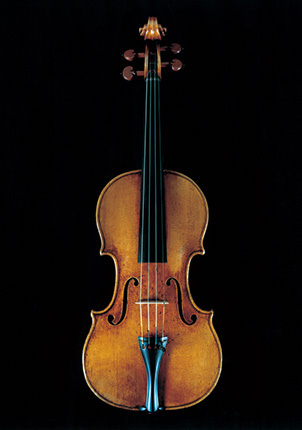 1715 Stradivarius Violin owned by Joachim. If this concerto was just a mediocre piece by a great composer, then that wouldn't be too interesting. Every great composer has a few duds somewhere along the line. But the Schumann Violin Concerto was never performed in Schumann's lifetime. Nor was it ever played by the great violinist that it was written for, Schumann's friend Joseph Joachim. In fact, Joachim had expressly asked Schumann to write a violin concerto for him. 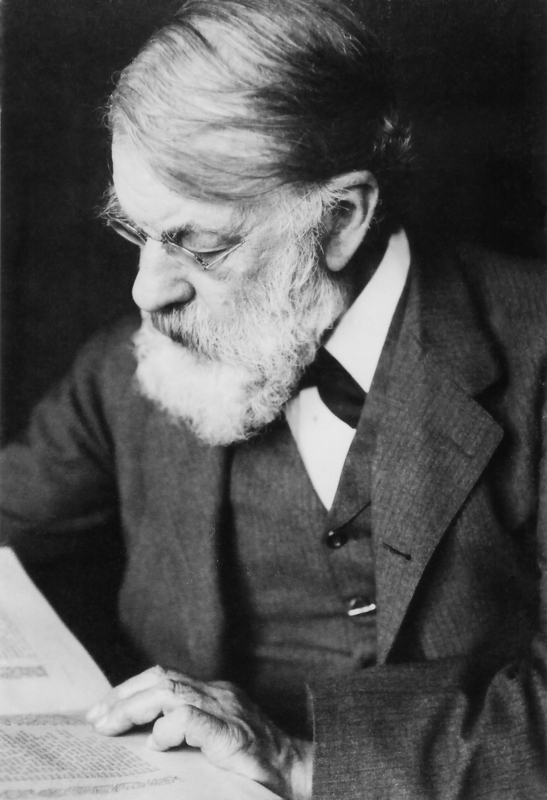 Photo of Joseph Joachim from Robert Eschbach of the University of New Hampshire. So, Schumann's friend and admirer asks for a violin concerto. Robert hops on it, even though he's suffering from a deep depression, and thirteen days later in the fall of 1853, Schumann has completed and orchestrated his 'Violin Concerto in D minor'. Was it a success? Nope. Joachim looked it over and asked Schumann's wife Clara to give her opinion. Clara was duly unimpressed. Closer to embarrassed would be more like it. Clara asked Brahms, who was also not impressed. The consensus? Bury that dog! The Violin Concerto was not performed and not published. It was close to buried. It ended up in the Prussian State Library in Berlin with the provision that it not be performed until 100 years after Robert Schumann's death. Unfortunately, that death came early for Robert. A few months after the completion of the concerto, Robert attempted suicide, was confined to a mental hospital, and died two years later (in July of 1856) at age 46. Joachim was not too in love with teaching. Performing was his passion. But he had two grand nieces that he apparently loved to teach and nurture - Adila Fachiri and Jelly d’Arányi. 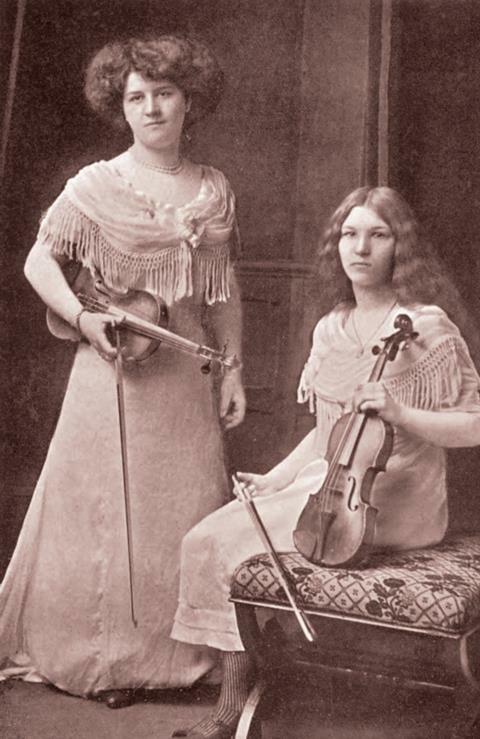 Adila and Jelly were professional violinists and occult enthusiasts...an interesting combination. In a seance in London 1933, Adila and Jelly managed to reach a ghost or spirit. A ghost that identified itself as Robert Schumann, via a kind of Ouija board. The ghost revealed the existence of his lost concerto and his intentions that Jelly d’Arányi perform it. After a brief conversation in surprisingly bad German for a German composer, d’Arányi became aware of its existence and location in the Prussian State Library. But it only gets more interesting. After discovering its existence, German music publisher Schott sent a copy of the score to Yehudi Menuhin, a prominent American violinist. He loved it! Surprisingly. Calling it the "missing link" between the Beethoven and Brahms concertos. Poor Jelly, despite her supernatural right to perform the piece first was being tossed aside. But in the midst of Germany in WWII, neither Yehudi Menuhin, whose first name literally means Jew in Hebrew, or Jelly, who had Jewish ancestry (Joachim was Jewish), would play the piece. Instead Georg Kulenkampff, a Nazi, would debut it. Premiered on November 26 by Kulenkampff and broadcast internationally, Schumann's Violin Concerto finally came to light. Later in December, Mehuhin performed it at Carnegie Hall and in February d’Arányi was finally able to perform it at Queen's Hall. Though it never became popular, or even liked, as seen in the review of Veronika Eberle's debut performance, the Schumann concerto has a fascinating backstory. 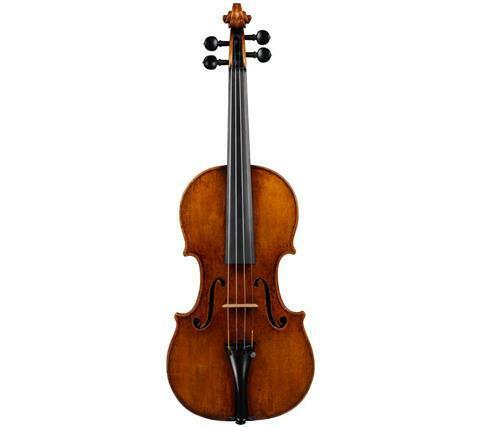 1722 Joachim-Elman Strad currently in the Chi Mei Museum’s collection. Want to read more? Jessica Duchen has researched this topic and written a wonderful book Ghost Variations- The Strangest Detective Story in the History of Music' with more details than we could possibly fit in this blog. Women Composers That You Should Hear!